Pictured From Left: Kobe Culbert, Jayden Bobo, Kayla Walker & Summer Maddox. These are the 2018 delegates that represented MDEC during the MYT & WYT. MDEC could not have been prouder of our students. 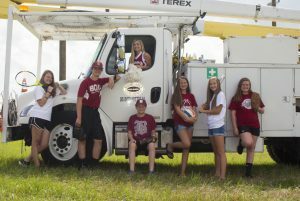 Marshall-DeKalb Electric select 4 students from our service territory who participant in the local essay competition. We invite them to travel to Montgomery in the spring, where they join more than 130 other high school juniors representing electric cooperatives for the Montgomery Youth Tour. There, these students have the opportunity to take part in activities such as Q&A sessions with representatives about topics that interest them; tour the Civil Rights Memorial, the State Capitol, and the State House; visit the Rosa Parks Museum and the State Judicial Building, and have dinner with state lawmakers. Then later in the summer, the same students will go on another tour. The Washington D.C. National Rural Electric Youth Tour, sponsored by Marshall-DeKalb Electric Cooperative, the Alabama Rural Electric Association, and the National Rural Electric Cooperative Association, is part of a grassroots program to educate high school juniors and seniors on the electric cooperative program and the cooperative ideas for which it stands. Approximately 45 students from Alabama travel to Washington D.C. for the week-long tour, joining more than 1,500 students from across the nation. The tour is jam-packed with fun-filled activities and visits to America’s most popular and historic places. Stops along the way include the U.S. Capitol, the Korean and Vietnam memorials, the Kennedy Center, Arlington National Cemetery, the Lincoln Memorial and the Smithsonian Institution. The six-day adventure ends with the All-States Farewell Dance when students get a chance to strengthen life-long friendships with fellow students. 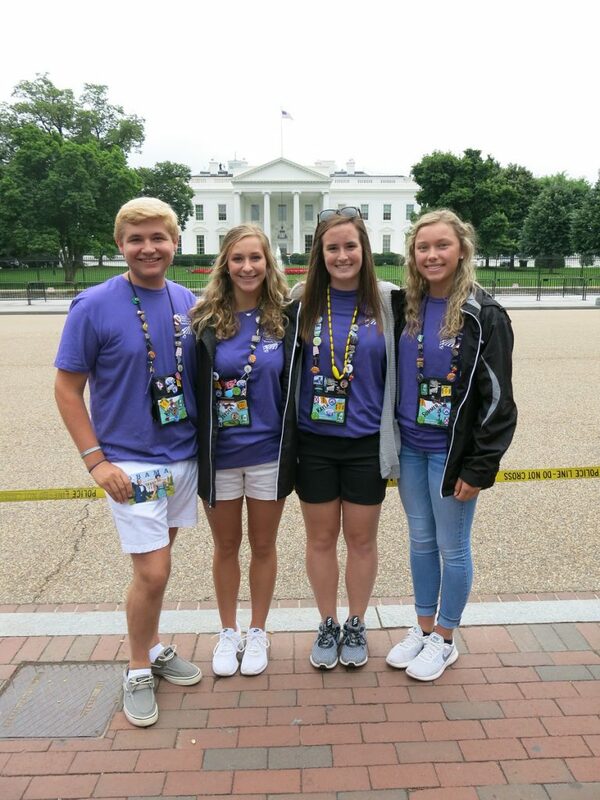 Although the youth tour experience is filled with fun activities, its overall purpose is to increase students understanding of the value of rural electrification, help them become more familiar with the historical and political environment of the nation’s capitol through visits to monuments, government buildings, and cooperative organizations…and visit elected officials to increase the students’ knowledge of how the federal government works. To find out more about this wonderful opportunity, you can obtain information from your high school guidance counselor or call Kelli Whorton at 256-593-4262 ext. 114.